Set up permanent access numbers and PIN code to conduct audio conference calls anytime with no reservations required. A variety of features are available to enhance your audio conference call, including record and playback, account codes for bill back, toll-free dial-in for international participants and operator assistance. Our online call management tool even lets you schedule, start, mute attendees and archive your audio conference on the web. Streamline and manage your most demanding audio conference calls with this scalable, customized solution. Whether your audience is a dozen executives, investors and analysts or a 8,000 member sales force, Communiqué brings everyone together in one seamlessly planned, managed and executed event. Reservations are made over the phone or online, and you can add extra features, like Q&A, participant list, recording or transcription, to ensure you get everything you need from your call. At the time of your conference, participants dial a toll-free number and are greeted by an operator who places them into your meeting. Communiqué Conferencing provides reliable conference calling backed by the world’s largest global conferencing infrastructure. Participants can join the same call by dialing local or toll-free access numbers from 109 countries worldwide. Communiqué’s world-class audio conference service is integrated with the leading web conference technologies providing a fully integrated meeting experience with telephone audio. Microsoft® Lync Audio Conference Calling: Communiqué and Microsoft® have joined forces to provide advanced audio conference call service that is fully integrated with Microsoft Lync Online (Office 365) or premise based Lync deployment. Communiqué Conferencing audio integration enables you to easily integrate audio conference calling with Lync web conferences. Microsoft® Skype for Business Audio Conferencing: Communiqué audio conference call service is fully integrated with Microsoft Skype for Business. Adobe Connect Audio Conferencing: Communiqué integrated voice conferencing brings the audio from a telephone conference into the Adobe® Connect meeting room. 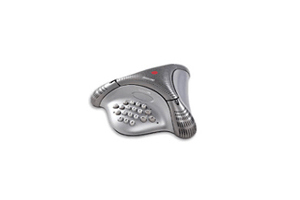 The integration enables advanced call control, such as combining computer VoIP audio and telephone audio callers, muting specific participants, dialing a participant’s phone and including telephone audio in recordings. Communique offers the best conference call service period. With 99.99% up time and 24/7/365 operator support, you can rely on Communique to for crystal clear sound for your important conference calls. For over 15 years, Communique has been delivering reliable conferencing solutions to business and non-profit organizations. Over 34,000 uses in over 34 countries trust Communique for their important conference calls. Communique Conference has provided our company with exceptional quality service. They have always provided a timely and helpful response to quickly offer technical support when needed. In addition Communique Conferencing provides great pricing and we would highly recommend their services.